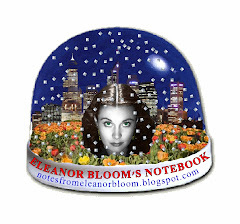 notes from eleanor bloom: Hello. I am here. rly. Hello. I am here. rly. Sorry for my lack of blogging (she says as though it's something worth apologising for, when quite more likely the world has only been a better place for its wonderful dearth of Eleanor Bloomishness-ness). There has been a fair bit of sadness around lately, as you all well know, and more personally I've had a friend die the same weekend of the fires so it all just becomes a rich, heady mix of gloom and a persistent overwhelming pressure to try to comprehend what seems incomprehensible. Death alone is a strange one. Add 'loss' and 'horror' and you just have an abstruse (supposed) reality. In other words: Blah, blah, blah. OK then. Onto something lighter. And, as always, one can find amusement in the the antics of the Liberal Party. Let us speak of 'damning' and 'praise'. Joe Hockey (new shadow Treasurer) told 3AW that Mr Costello had rung him on Monday and said: "Mate, I'm here for you, anything I can do." Mr Costello said he had offered Mr Hockey "every help. Joe was my junior minister for quite some time and I am very happy to help him."